​Denver Party Bus is the ideal transportation company to enjoy your bachelor and/or bachelorette party. Leave the driving to us. Our party buses offer enough space for all friends and family. During the ride, the courteous driver will be able to take you to your celebration locations. No pre-wedding shingdig is intact without a Denver Limo Bus to make great memories forever. Your last night out as a free man is not complete without a party bus limo for everyone to ride in style together. We have many group size options from starting from an army of one to your entire wolfpack. Our party buses let you enjoy space to walk around while also being close enough so everyone can be a part of the festivities. Limo party buses offer complementary wet bar, access to dance and strip clubs, booming sound system and much more. 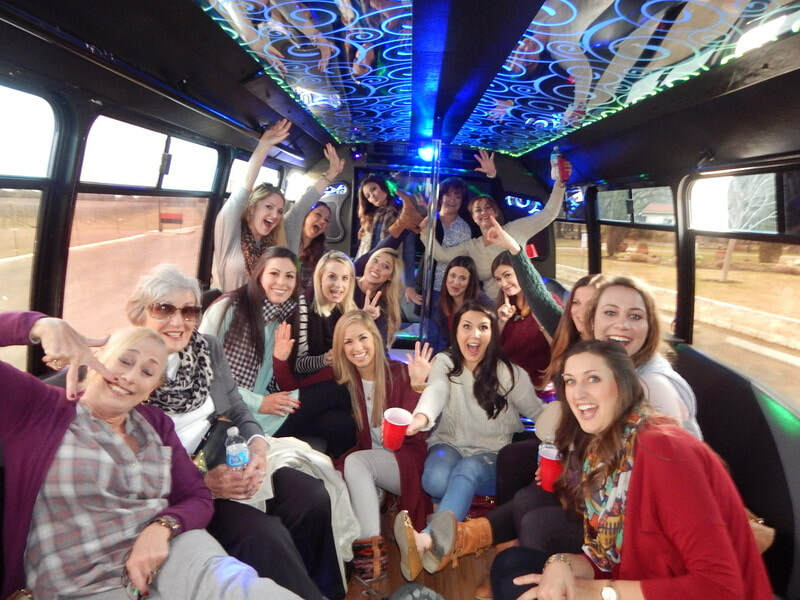 Whether it is a wild girls night or a relaxing afternoon wine tasting, bachelorette parties are best with a party bus, SUV Limo, or Stretch Limousine. The attentive and professional drivers will take you wherever you would like to go for the type of bachelorette party you are having. Some of our party buses include a dance pole for you to show off your skills. Denver party bus will make the group feel like celebrities walking the fabulous red carpet. ​It is almost time for the biggest celebration of your life, but before your wedding day, you have one last hoorah as a single lady with all of your friends! There is one surefire way to guarantee a successful bachelorette party and that is by renting a limousine bus. With our incredible luxury limousine bus rentals, you can enjoy your entire evening out, even the ride between stops. Each bus has an awesome sound system, and options for food and drinks that give you the chance to make sure the party never stops. With the designated driver taken care of, and no one having to try and flag down a cab, you can hop from one happening spot to the next and enjoy your entire evening worry free. The bachelorette party is about being doted on, being carefree, and just having a good time. When you are in a limousine bus for the night, you have the safest ride, complete comfort, a luxury ride, and the best way to get around town with the whole group. Everyone that is choosing to be a part of your special day deserves a night out with you that they can remember for a lifetime. A limousine bus is an incredible way to show them how much you care and make sure you have a wonderful evening with your closest friends before your big day.